Football League (NPFL) match day 35. It was a tension-soaked match as the visiting team fought till the last mimute of the match but 3SC claimed the three points. Ajani Ibrahim and Ifeagwu Ojukwu, scored 3SC’s goals in the 47th and 50th minutes of the match. defender, Chibuzor Madu brought down Najeem Olukokun in the 18-yard box. However, the never tired Rangers FC was able to secure its lone goal through Chisom Egbuchulam in the 81st minute of the match. 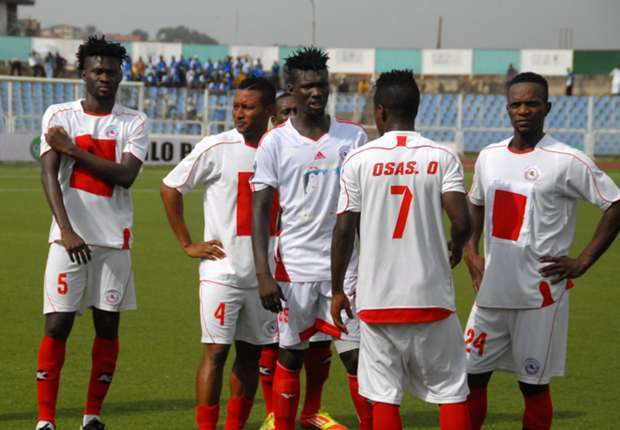 Madu of Rangers FC and Moses James of 3SC were red-carded in the 48th and 67th minutes of the match respectively. Ogunbote said it was a good game from two traditional teams that their rivalry had existed for long. “We came to attack and they equally to do same. Thank God we picked our chances in the second half of the game. “After the two goals, the players went to sleep if not they would have scored up to four goals,” he said. He said that the red card for James was unfortunate, saying he never saw what really transpired. it. If James has committed an avoidable blunder, he will be punished. to consolidate before thinking of the match against Wikki Tourist.